Equipment Upgrade Occurring April 22 & 23…station may be off air for a portion, if not all of those days. NACTV’s Annual Showcase Free Concert will be on May 16 at 7PM at Neepawa’s Arts Forward and will be taped before a live audience. Participating performers will be required to gather pledges as they have in past years. All acts will be shown on NACTV at a later date in a “Telethon” format. The annual showcase has been a mainstay fundraiser for NACTV and is combined with the Annual Business Canvass. Jean Borchardt, who has done the canvass for years will be gathering some helpers for the 2019 campaign. Letters will be going out to all area businesses seeking support for the station. NACTV is a community owned television station that can be seen on Bell/MTS (592 and 30) and locally on WCG 12. Over 550,000 homes across Canada and can now be viewed, globally, online at www.nactv.tv. Interested performers may obtain pledge forms at the NACTV studio at 423 Mountain Avenue in downtown Neepawa. Volunteers can also drop in or phone 204-476-2639 to help out with the business canvass or to volunteer at the concert. NACTV is always looking for people who would be willing to video events with their own camera equipment or with the studio digital cameras. Call, email or drop in to learn more about how you can help your local TV station. Most of all COME AND ENJOY THE FREE CONCERT (donations are greatly appreciated)! 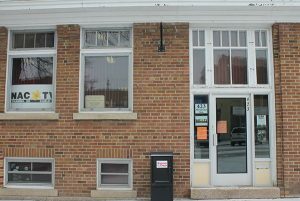 NACTV is located 423 Mountain Ave. in downtown Neepawa, MB. in the Dunlop Building.